Description: A free customizable electronic waste recycling template is provided to download and print. 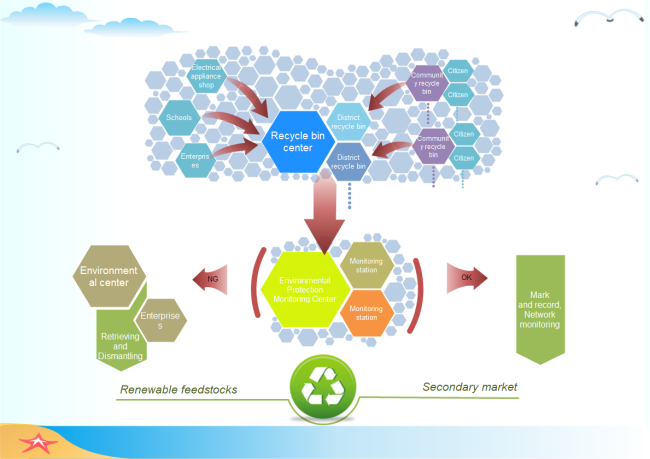 Quickly get a head-start when creating your own electronic waste recycling diagrams. It really helps to fully demonstrate the process of recycling and increase people's environmental protection awareness. Edraw is a great tool in making attractive graphic organizers that you can use in both education and business areas.